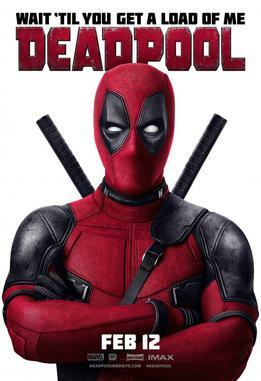 Deadpool is comedy Indian English film. It was released in 2016. Ryan Reynolds, Morena Baccarin played lead roles. Ed Skrein, T. J. Miller, Gina Carano, Brianna Hildebrand played supporting roles. It was directed by Tim Miller and produced by Simon Kinberg, Ryan Reynolds. Music composed by Tom Holkenborg. Batman v Superman: Dawn of Justice is superhero Indian English film. It was released in 2016. Ben Affleck, Henry Cavill, Amy Adams played lead roles. Jesse Eisenberg, Diane Lane, Laurence Fishburne, Jeremy Irons, Holly Hunter, Gal Gadot played supporting roles. It was directed by Zack Snyder and produced by Charles Roven, Deborah Snyder. Music composed by Hans Zimmer, Junkie XL. Captain America: Civil War is superhero Indian English film. It was released in 2016. Chris Evans, Robert Downey Jr., Scarlett Johansson played lead roles. Sebastian Stan, Anthony Mackie, Don Cheadle, Jeremy Renner, Chadwick Boseman, Paul Bettany, Elizabeth Olsen, Paul Rudd played supporting roles. It was directed by Anthony Russo, Joe Russo and produced by Kevin Feige. Music composed by Henry Jackman. 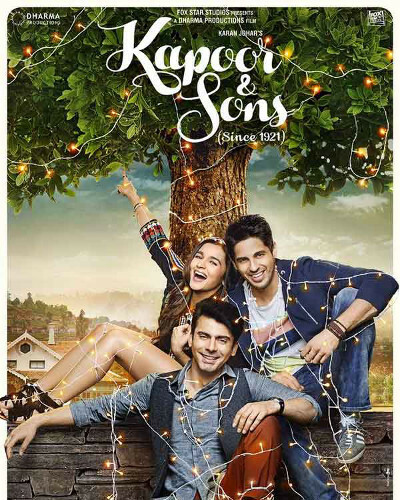 Kapoor & Sons is comedy-drama Indian Hindi film. It was released in 2016. Rishi Kapoor, Sidharth Malhotra, Alia Bhatt played lead roles. Ratna Pathak, Rajat Kapoor, Fawad Afzal Khan, Sukant Goel, Amarjeet played supporting roles. It was directed by Shakun Batra and produced by Hiroo Yash Johar, Karan Johar. Music composed by Arijit Singh, Amaal Mallik. 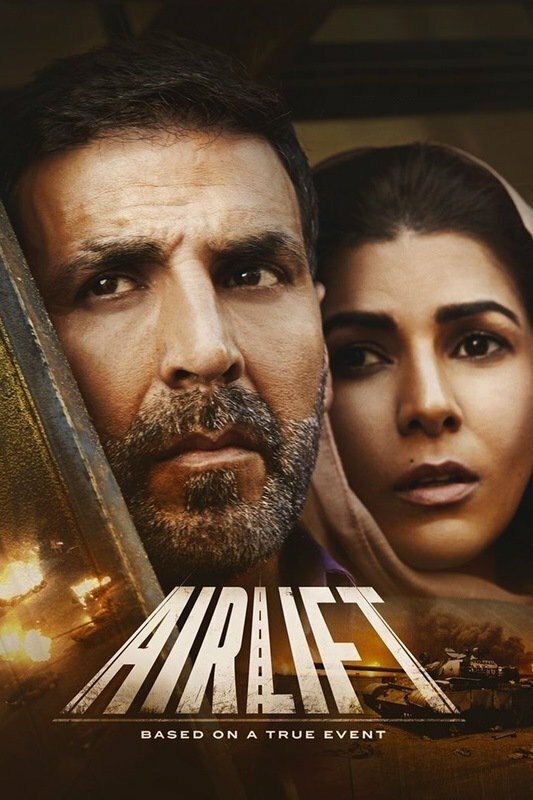 Airlift is war thriller Indian Hindi film. It was released in 2016. Akshay Kumar, Nimrat Kaur played lead roles. Inaamulhaq, Feryna Wazheir, Lena, Purab Kohli, Prakash Belawadi, Arun Bali, Ninad Kamat, Nissar Khan, Kaizaad Kotwal, Gunjan Malhotra played supporting roles. It was directed by Raja Krishna Menon and produced by Nikhil Advani, Monisha Adwani, Aruna Bhatia. Music composed by Amaal Mallik, Ankit Tiwari. Jai Gangaajal is action drama Indian Hindi film. It was released in 2016. , Priyanka Chopra played lead roles. Prakash Jha, Manav Kaul, Murli Sharma, Pranay Narayan, Rahul Bhatt , Kiran Karmarkar, Ninad Kamat, Vega Tamotia played supporting roles. It was directed by Prakash Jha and produced by Prakash Jha, Milind Dabke. Music composed by Salim-Sulaiman.